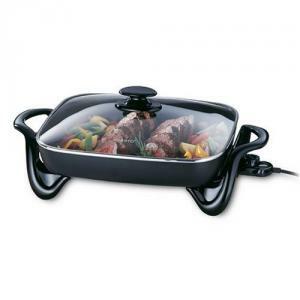 Big 16" base with high side-walls for extra cooking and serving capacity. Roasts, fries, grills, stews, bakes, makes casseroles and more. Fully immersible with heat control removed for easy cleaning. Tempered glass cover lets you see what is inside. Great for use as a buffet server when entertaining.